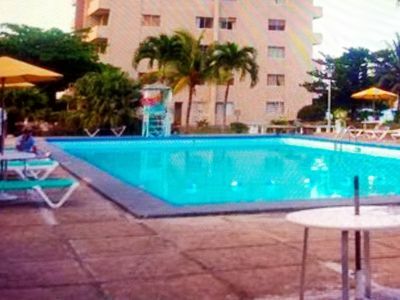 YOUR PRIVATE POOL ALMOST TOUCHES THE SEA! 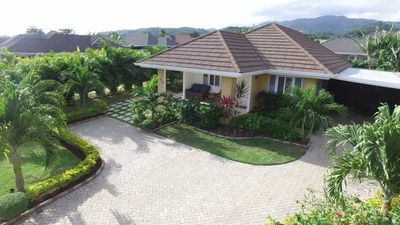 Rainbow Point is a colorful and well-decorated villa on one and three-quarter acres. 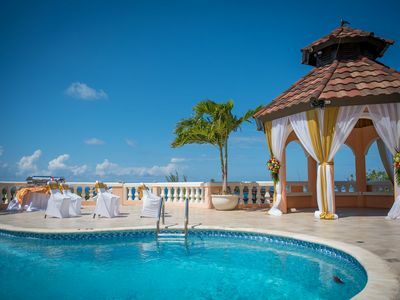 It had been used primarily for weddings, as its panoramic Caribbean views are so captivating. 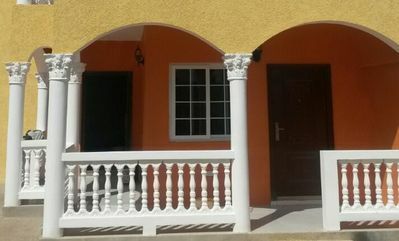 We purchased it in 2003 and totally renovated it for use as a comfortable vacation villa. 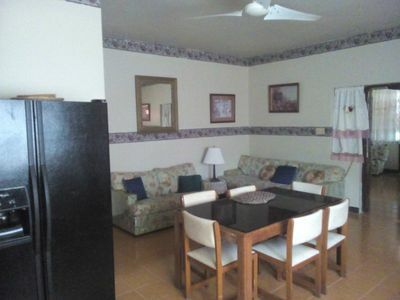 There are three bedrooms, all with sea views and air-conditioning (though it is rarely needed). 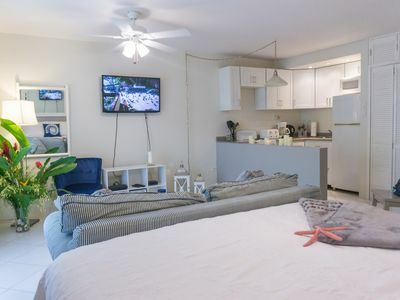 Rainbow Point has high ceilings, overhead paddle fans throughout, attractive furnishings and art, a good sound system, Internet access, and TV with a DVD player. 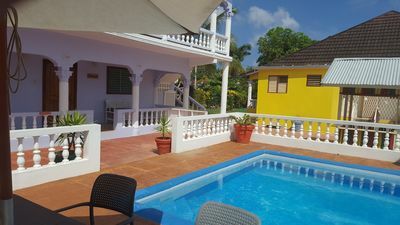 The huge, covered veranda is well-furnished with chaise lounges, a bar, and a table that seats six; it is a perfect place for eating meals and relaxing. There is also an additional dining deck on the mountain side of the villa. 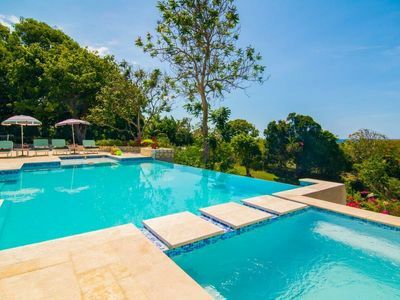 The pool has expansive decking surrounding mature coconut palms, plenty of top-quality chaise lounges, and overlooks the sea. This affords you an exquisite view of the South Coast, as well as the local fishermen bringing in their catch in the late afternoons. 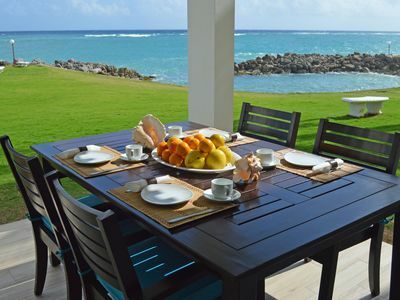 Rainbow Point affords couples, families, and friends a way to vacation in casual comfort. 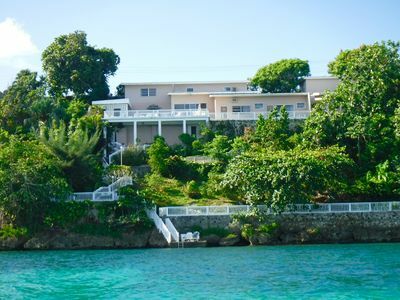 When you rent the villa, it is all yours - even if you have only one or two people in your party. 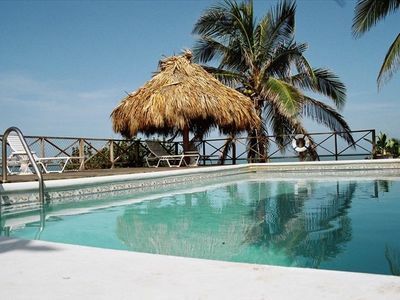 That means you have exclusive use of the villa and its accompanying freshwater, private pool. 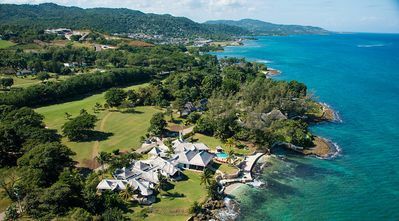 It also means that the full-time, salaried staff will be there to cook your meals, clean the villa, handle your laundry, keep the pool sparkling, maintain the grounds, and do their utmost to make your stay enjoyable. Loving nanny service is also available. You will require no fancy clothes. And you will encounter no fancy prices. Only peace and quiet. And the welcoming smiles of the residents - lovely people who treat you as guests, not tourists. 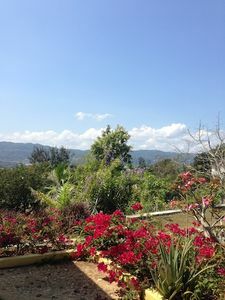 Rainbow Point is truly an oasis in the midst of a peaceful get-away-from-it-all atmosphere. 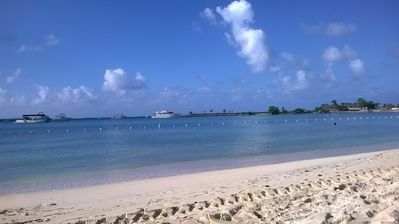 A place where you will not only relax, but be rejuvenated. A place where you will forget your worries and leave your heart. Our experienced driver can provide airport transfers, as well as private guided tours of area attractions. 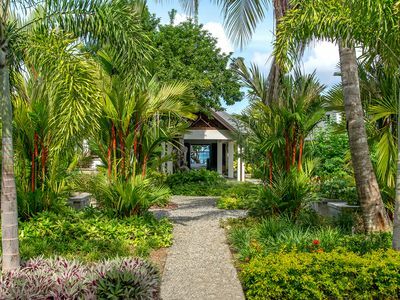 Especially large parties (up to 14 people) can rent our other Treasure Beach villa just down the beach -- Rainbow Tree -- in concert with Rainbow Point. Our staff members are used to working together and can arrange for dinners or special meals to be served together for your entire group. 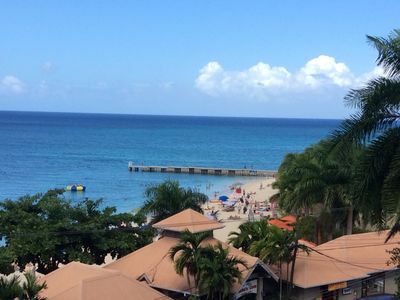 The McFarlane's Place is right in the heart of Ocho Rios Jamaica. 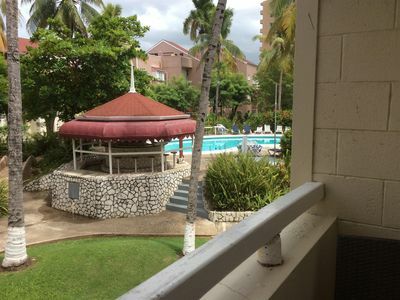 Cozy Apartment Near Ocho Rios And The Ian Fleming International Airport.